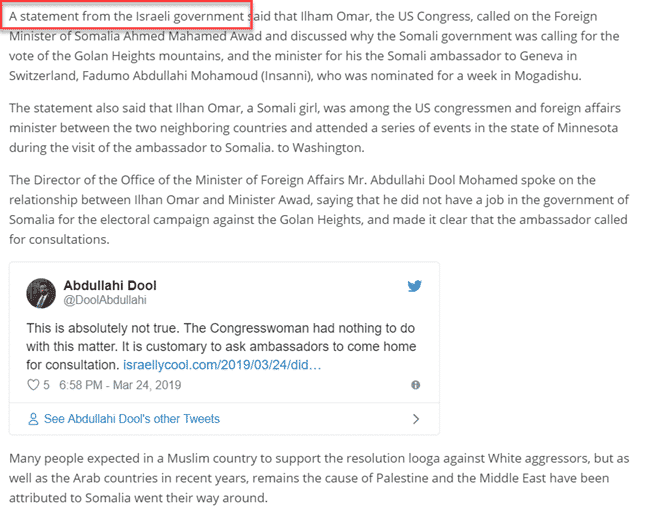 Update: Someone from Somali Top News has informed me Google Translate did not translate correctly, and they did NOT refer to me as the Israeli government after all. And here I was getting delusions of grandeur! 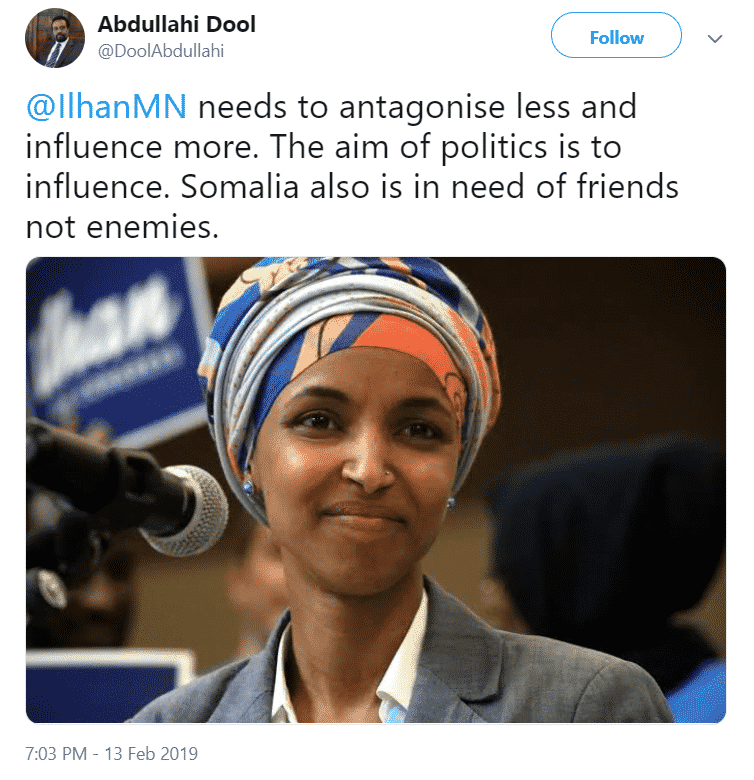 A Somali news site has mentioned yesterday’s post alleging that Rep. Ilhan Omar may have called Somali Foreign Minister, Ahmed Isse Awad, in an effort to influence him to recall their ambassador to the UNHRC following their absention on an anti-Israel resolution. Except if Google Translate is to be believed, the site is claiming I am the Israeli government, and I stated the allegation as fact – as opposed to the facts this is a private blog independent from the Israeli government, and my post reported on an allegation by an anonymous source (which I made clear in my post). an independent English and Somali news website, established by professional, Somali journalists based in Somalia . 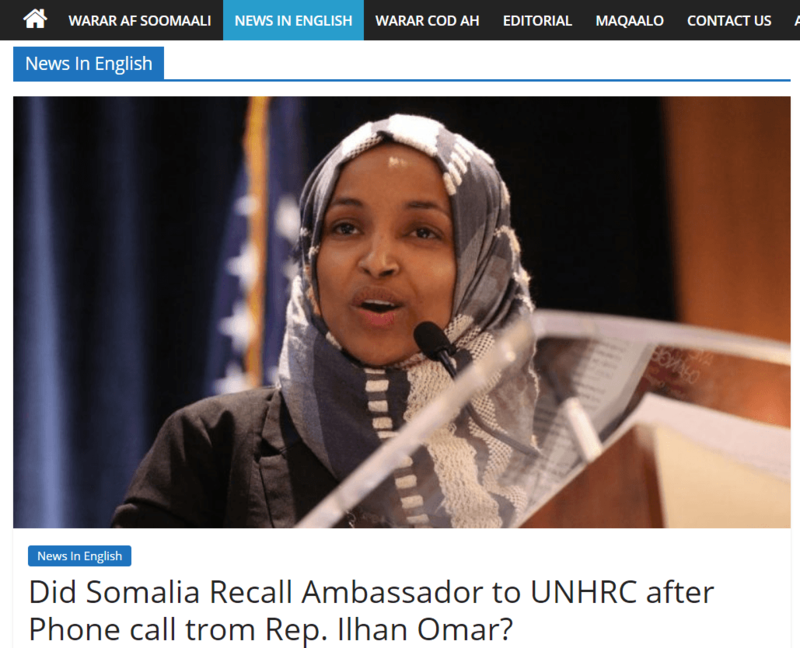 The goal of this site is to offer reliable, balanced, edited news and information about Somalia and humanitarian aid programmers in Somalia , which compiled and written by well-trained journalists in the Horn of Africa region.